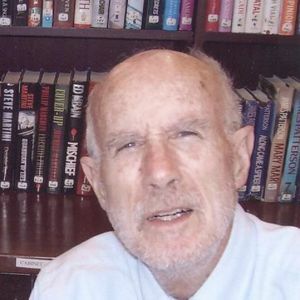 Dale Hill Levisay passed away suddenly last Saturday, September 21, at the University of Virginia Hospital in Charlottesville. He is survived by his wife of thirty seven years, Doris Levisay, his brother James Livesay of Richmond, Virginia, his three children: Mark, Bill and Alice Levisay, his two stepsons Bill and Tom Dunwoody, and his eleven loving grandchildren. He is pre-deceased by his first wife Arline Levisay and a daughter Lois Ann Levisay. Dale was born in Durbin, West Virginia, on July 2, 1930 and grew up along the banks of his beloved Greenbrier River. After graduating first in his class from White Sulphur Springs High School, he enlisted in the U.S. Navy and served his country aboard the U.S.S. Valcour and the U.S.S. Oriskany. Upon an honorable discharge, he entered Virginia Tech where he studied Electrical Engineering, ultimately graduating again at the top of his class in 1956. Dale spent a long and productive career in the Electrical Engineering field, most notably working for ALCOA in a number of locations for over thirty years. He was always singularly proud of his executive liaison assignment that took him to Tokyo, Japan for a few years late in his career. A holder of a number of patents, he is remembered fondly by ALCOA associates today. After retirement, Dale and Doris spent many happy years in Louisville, Tennessee, and Williamsburg, Virginia, travelling the world and spending time with family and friends. Dale loved to tinker in his workshop, always creating new inventions that he shared generously. A scout master for many years, Dale was also an avid Ham radio operator, fisherman, and a keen gardener his entire life. He will be missed deeply by all who knew him. In lieu of flowers or gifts, donations may be made in Dale's memory to the Michael J. Fox Foundation for Parkinson's Research. No public memorial service is scheduled at this time. Dale was a good soul and very caring friend. We will miss his intelligence and insightful spirit.